After a request to become the new shirt sponsor in 1994, Dave Whelan went on to purchase the club in February 1995. Struggling on and off the field, it seemed to be a ludicrous statement when the former Blackburn defender who famously broke his leg at Wembley stated that we would be in the Premier League within 10 years but as we all know he delivered on that promise in some style. Firstly, John Deehan guided the club to the Division Three title in 1997 and promotion to the Second Division where 3 successive playoff failures would lead to Paul Jewell being appointed as Manager after he had guided Bradford City to the top flight and kept them there against all odds. After a tough first few months in charge, Jewell stamped his mark on the squad and the following years were filled with success. A record breaking title winning promotion in 2003 meant a first tilt at the second tier of English football which was taken to like a duck to water. In and around the promotion places all season but cruelly missing out on the playoffs on the final day after West Ham snatched a late draw at The JJB didn’t derail the charge as as a last day win over Reading the following season sealed promotion to the top flight 10 years after Dave Whelan had promised exactly that. 8 tremendous years followed culminating in the most memorable of days lifting The FA Cup after beating Manchester City at Wembley in the first of three successive FA Cup wins over the current English Champions. A few relegations have followed in recent seasons but the club has added two more league titles to the trophy cabinet which now totals 4 under Whelan's ownership as well as that FA Cup and an Auto Windscreens Shield success in 1999. 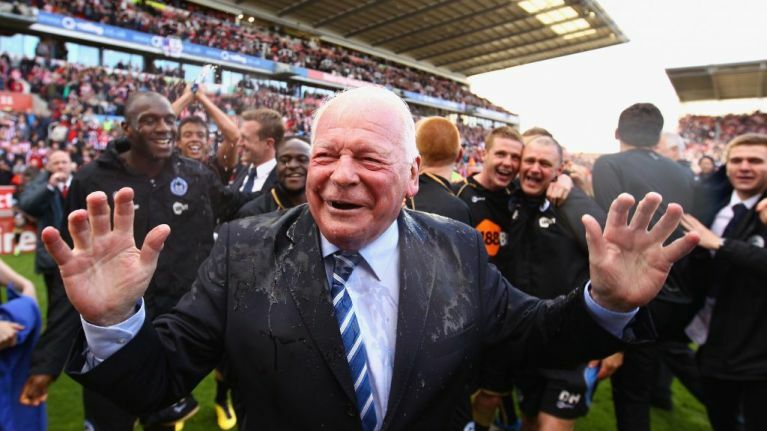 It's hard to imagine when looking back at the clubs position when Dave Whelan took over that of his 23 years in charge, over 25% of it would be spent in the top flight and over 50% would be spent in the top two divisions. We can never truly thank him for what he has done for our club. Times change though and we are now officially under the ownership of IEC who are a Public Limited Company principally based in Hong Kong with a diverse range of business interests, including hotel operations and leasing of properties across Asia. They have today announced that Darren Royle, son of former Everton boss Joe, will join the club as Executive Chairman whilst his father joins as a Director. Thomas Chan will also join the board.